Is Shilpa Shetty Prepping For A *Cat* Fight In Head To Toe Leopard Print? Isn't it fascinating how Shilpa Shetty manages to multi task like a champ? She's a yoga freak, a sunday binge expert and a full-time mom. Yet, she manages to pull off one outfit after the other, while taking fashion risks like no one else in Bollywood. Shilpa showed us how graceful the pants-saree can be, didn't she? 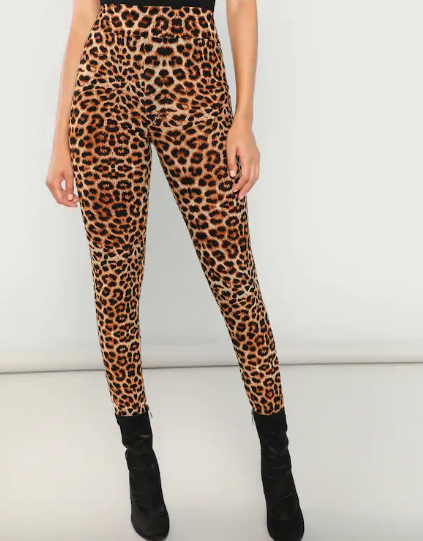 Her latest obsession is dangerously high slits and boy, does she look dangerously hot working them - BUT nothing can beat her 70s reminiscent head-to-toe leopard print outfit from a few days ago. The woman takes me back to the age of extra skinny pants and super skinny belts. Shilpa Shetty looks like a million bucks in this Dhruv Kapoor outfit and there's no denying it. The peasant crop top with balloon sleeves fits her like a glove, thanks to the smocking - it's an interesting look, combined with the print. 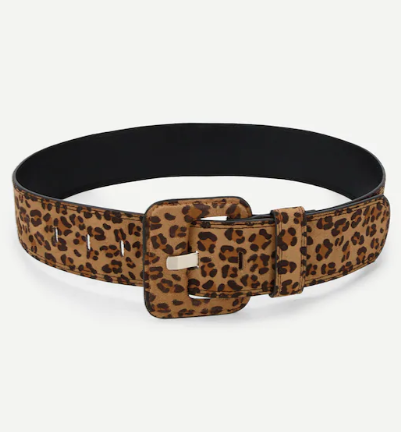 The high-waist skinny pants are a perfect fit as well, secured at Shilpa's (toned) waist with a slim buckled belt, also leopard print. Like her caption says, she's 'On the prowl.. grrrrrrr' and she's dressed for it. Her accessories are the finishing pieces on this H2T leopard jigsaw puzzle. Her leopard print earrings and pumps complete the look and go well with it. 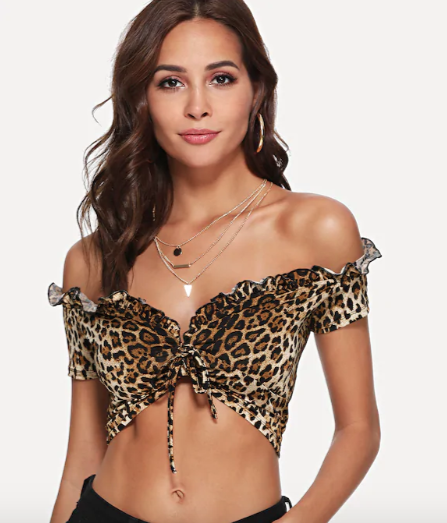 POPxo recommends: Off Shoulder Knot Front Leopard Crop Tee (Rs 511), Leopard Print Leggings (Rs 657) and Leopard Print Belt (Rs 450) by Shein.